Found and blessed his holy well. At Kilfera by the Nore. By the banks he loved so well. Seems to sigh and whisper slowly. Blessed Kilfera by the Nore. Exiled him with jealous love? Lone Kilfera by the Nore. Who has wiped all tears away. Calm Kilfera by the Nore. Augustin ind eccna,epscop uasal amra. (Augustine) the conspicuous one out of Africa. iin arrdraic a hAfraic .i. Augaistin .i. comad hé Augustin sapientissimus librorum sein. L .i. Augustinus sapientissimus uir Affricorum. the famous one out of Africa, i.e. Augustine, i.e. that may be Augustine sapientissimus librorum.- i.e. the wisest of the Africans. In Irish popular devotion, Saint Augustine's Day might be marked with a pattern day centred around a holy well, as for example at Kilshanny, County Clare. Augustinian monks founded a monastery here in 1189 and their patron seems to have displaced the native Irish saint to whom the well was originally dedicated. There is a picture of the well here. 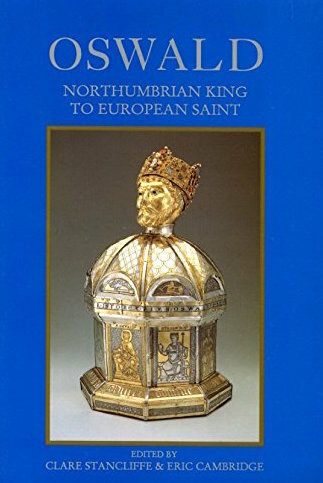 Whilst, in this case, an earlier indigenous saint has been displaced, it needs to be remembered that in other cases the Augustinans were responsible for commissioning the Lives of the native holy men and women and for promoting their claims of association with religious foundations. Ro sreth scél a chesta cech leth co sál srúamach, iar mórchroich ro rígad in Bartholom búadach. 25. The story of his suffering has been declared on every side even to the streamy sea: after a great cross he has been crowned, the triumphant Bartholomew. 25. Bartolom. Bartholomeus in Indiam perrexit et in ea passus est sub Astrige rege eorum .i. gladio decollatus est, uel uiuus sepultus est, post pellem rasam suam de corpore toto ante, et sic uitam finiuit. 25. Bartholomew proceeded into India etc. i.e. he was beheaded with a sword, or he was buried alive, etc. The Lord's chaste apostle, Bartholomew to whom I pray:,..
Festival of St. Bartholomew, Martyr. The festival of St. Bartholomew, Martyr, was observed in the early Irish Church, on the 25th of August, as may be found in the "Feilire" of St. Aengus. There his name takes the Irish form Parrthalon. To this, the scholiast has added an explanatory note in Latin. Wherefore it seems we are to regard him as St. Bartholomew, the Apostle, and whose Acts are fully set forth by the Bollandists, at this date. These Acts have a previous learned commentary by the editor, Father John Stilting, SJ. ; and they are followed by a narratives of the posthumous honours, translations, relics and miracles of this celebrated Apostle of the Indies. Content Copyright © Omnium Sanctorum Hiberniae 2012-2017. All rights reserved. Scant justice has been meted to many of our holy men, in human records; although their careers were not unnoted by traits of a sublime and noble character, during their life-time. The Martyrologies of Tallagh and of Donegal register Segin or Seighein, as having been venerated at the 24th of August; but, without giving further information regarding him. The published Martyrologies of Tallagh and of Donegal register Sedrach, at the 22nd of August. The former Calendar designates him as a bishop, and this is found, likewise, in that copy of the Tallagh Martyrology, contained in the Book of Leinster, at this same date. The see over which he presided is not known, nor the date for his episcopacy. St. Uncan or Unchan Tughneda. No doubt, from his early days, the ambition of this saint received a right direction. Yet those and his subsequent years are buried in obscurity. According to the published Martyrology of Tallagh, veneration was given to Unchan Tughneda, at the 21st of August. It seems a difficult matter to identify his place, at present, or to find the time when he flourished. 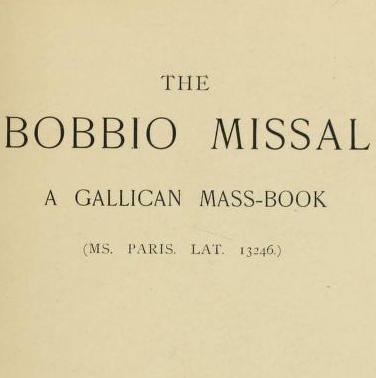 The simple entry, Uncan, appears in the Martyrology of Donegal, at this same date. In life, he must have been respected, and his time must have been greatly spent in prayer for himself and others. There are several saints bearing this name, included in the Irish Calendars; but of most, we have nothing left to determine their identity or period, or even the localities with which they were respectively connected. At the 18th of August, the Martyrology of Donegal registers a festival in honour of Ronan, having in like manner, no further designation. In Scotland, also, this name appears to have been known, and it is found as a compound word in local denominations. 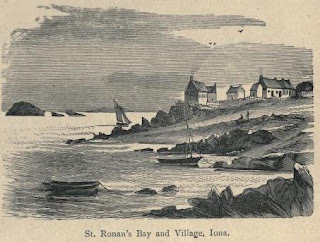 On the east side of Iona, there is an old church, Tempul Ronain, and a village at a landing place, called Port Ronan, a little to the south of the cathedral and chief group of antiquities there. Tempul Ronain was formerly a parish church, dependent on the Monastery of Iona. It had a nunnery connected, in which several prioresses are said to have been buried. Towards the close of the last century, the nunnery church was quite entire, one end of it being arched and very beautiful; then also stood the parish church entire, but tottering. This was a building about the size of St. Oran's chapel, and north-east of the nunnery, but inside of its enclosures. It is not known, however, to which of the saints named Ronan, this place had been dedicated. St. Eoin of St. John's, County of Down. It should be understood, that the proper name Eoin, in Irish, is equivalent to the English name John. The Martyrology of Tallagh records a festival at the 17th of August, to honour St. Eoani mic Carlain. In the beginning of the fourteenth century, his place seems to have been known as the Chapel of Styoun, now St. John's Point. This is a detached townland in the parish of Rathmullan. At this same date, the name occurs in the Martyrology of Donegal, Eoin, son of Carlan, of Tigh-Eoin, in Uladh. This place has been identified with St. John's, in the County of Down. In the year 1183, it would seem to have been designated Stechian, in the time of James I. Stion, and at the time of the Dissolution, it was called the Chapel of St. John of Jerusalem. This ancient chapel belonged to a very antique class of ecclesiastical buildings. It measured only 20 by 13 feet, in the clear. Better than a century ago, the walls were entire. But now, the east wall has been demolished to the foundation, and with it the east window, small and narrow, terminating in an acute angle, formed by two inclined flags. The doorway, in the west wall, is 5 feet, 6 inches, high; 2 feet, 1 inch wide, at the top, but gradually dilating to the threshold, where it is 3 feet in breadth. In the south wall, near the south-east angle, there is a window 2 feet, 5 and a half inches high; 1 foot, 4inches wide, at top, and 1 foot, 9 nine inches, at bottom. In both instances, the aperture is surmounted by a single flag, instead of an arch. At the 16th of August, Colgan intended to have published the Lives of Saints Marinus and Anianus, as we learn from the posthumous list of his Manuscripts. Elsewhere, I have not been able to find any account, that might serve to explain their connection with Irish hagiology. "...her soul is wreathed with various crowns; the apostles render sacred homage to her, the angels intone their canticles, Christ embraces her, the clouds are her chariot, paradise her dwelling, where, decked with glory, she reigns amidst the virgin-choirs." The Queen of Ireland – An Historical Account of Ireland's Devotion to the Blessed Virgin by Mrs Helena Concannon (Dublin, 1938), 41-42. St. Lughaidh, of Cluain Fobhair. The present saint most probably flourished before the tenth century, for his name is commemorated at this date, in our most ancient Irish Martyrologies. It seems to have been Colgan's intention to have edited the Acts of St. Lughidius, on this day, as would appear from the posthumous list of his MSS. He was connected with a place, designated Cluain Fobhair. There is a townland called Cloonfoher, in the parish and barony of Burrishoole, in the County of Mayo; a Cloonfore, in the parish and barony of Rathcline, in the County of Longford; a Cloonfower, in the parish of Termonbarry, barony of Ballintober North, and County of Roscommon, as also a Cloonfower, in the parish of Kilkeevin, and barony of Castlereagh, County of Roscommon. Those denominations are all equivalent to Cluain Fobhair. The Martyrologies of Tallagh and of Donegal mention, that at the 6th of August, veneration was given to Lughaidh, of Cluain Fobhair. In the Irish Calendar, preserved in the Royal Irish Academy, there is a similar entry. ...From the outset of his episcopate, St. Aidan was not without anxieties and sorrows. Above all he was overwhelmed with affliction by the death of Oswald, on the field of battle, in 642. This dire calamity fell upon the Northumbrian church and kingdom at the hands of Penda, the pagan king of Mercia. For two years war had raged between Northumbria and Mercia, and Oswald had been so far successful that he added the district of Lindsey, with its chief town of Lincoln, to his dominions. It was on the 5th of August, 642, that the decisive battle was fought, at a place called Maserfield, near the Shropshire town, which still commemorates Oswald in the name of Oswestry. The brave prince fell fighting for his religion and his country, as Bede takes occasion to mention, and "seeing himself hemmed in by armed assailants, he ended his life with words of prayer for his own soldiers: whence arose the proverb, God, have mercy on their souls, as Oswald said when falling to the ground." Another proverbial saying is recorded by Henry of Huntingdon: "The plain of Mesafeld was whitened with the bones of the saints." Thus perished, at the age of thirty-eight, Oswald, marked by the Church among her martyrs, and by the Anglo-Saxon people among its saints and heroes of most enduring fame. Ireland may well be proud of having trained to piety this first royal saint and martyr whom the Anglo-Saxon kingdoms added to the Calendar of Holy Church. The ferocious Penda caused the head and hands of Oswald to be cut off, and exposed on wooden stakes, but after some months they were rescued, and the hands were placed in a silver box, at St. Peter's Church, on the summit of the rock of Barnborough, whilst the head was consigned to St. Aidan, and interred with due solemnity in the monastic chapel at Lindisfarne. Of his other relics, we learn from Bede, that thirty years after the battle of Maserfeld the niece of Oswald brought them with great state to the Lincolnshire monastery of Bardney, which was in the Mercian kingdom, but the monks received them with coldness, saying that he was an enemy of Mercia, and left the wain, which had arrived with them in the evening, to stand outside their doors with a pall thrown over them. All that night a pillar of light, reaching from earth to heaven, shone over the remains, and was seen throughout the whole surrounding district of Lindsey. At the dawn of morning eagerly were the doors thrown open, the remains were reverently encased, and over them was suspended the gold and purple royal banner which had been borne before Oswald on the field of battle. 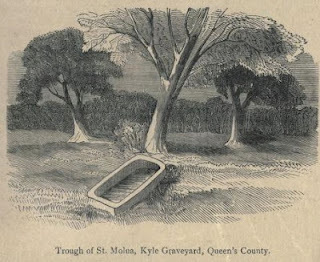 The spot on which King Oswald fell long continued greener and fairer than the ground around, and pilgrims, even from remote parts, flocked thither to pay the tributes of their devotion to God. Both places were indeed honoured, where he first planted the standard of the Cross entering on his career of victory, and where he ended his course, pouring out his life-blood for the cause of God. The latter, howrever, seems to have borne away the palm: "The monks of the great and magnificent Church of Hexham (writes Montalembert), went in procession every year to celebrate the day consecrated to Oswald at the site of the cross, which he had planted on the eve of his first victory. But the love and gratitude of the Christian people gave a still greater glory to the place of his defeat and death. Pilgrims came thither in crowds to seek relief from their sufferings, and had each a miraculous cure to relate on their return. The dust which his noble blood had watered was collected with care and conveyed to great distances as a remedy for disease, or a preservative from the evils of life. By dint of carrying away this dust a hollow was scooped out, of a man's size, which seemed the ever-open tomb of this martyr of his country. On seeing the turf around this hollow clothed with an unwonted verdure, more delicate and beautiful than elsewhere, travellers said that the man who had perished there must needs have been more holy and more pleasing in God's sight than all the other warriors who rested beneath that sward. The veneration of which his remains were the object spread not only among all the Saxons and Britons of Great Britain, but even beyond the seas in Ireland and among the Greeks and the Germans. The very stake on which the head of the royal martyr had been fixed was cut up into relics, the fragments of which were regarded as of sovereign efficacy in the healing both of body and of mind." 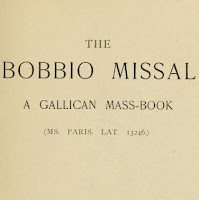 One of the miracles narrated by Bede is given on the authority of St. Willibrord, Archbishop of the Frisians, and happened when that apostolic man, "being as yet only a Priest, led a pilgrim's life in Ireland, for love of the eternal country." A certain Irish scholar, "a man indeed learned in worldly literature, but in no way solicitous or studious of his own eternal salvation," was reduced to the last extremities, having caught the contagion which then prevailed. Willibrord coming to him, and finding that he cherished a great devotion to the holy Oswald, said to him that he had "a portion of the stake on which Oswald's head was set up by the pagans when he was killed: and if you believe, with a sincere heart, the Divine goodness may, through the merit of so great a man, both grant you a longer term of life here, and render you worthy of admittance into eternal life. He answered immediately that he had entire faith therein. Then I blessed some water (adds St. Willibrord) and put into it a chip of the aforesaid oak, and gave it to the sick man to drink. He presently found ease, and recovering of his sickness, lived a long time after, and being entirely converted to God in heart and actions, wherever he came he spoke of the goodness of his merciful Creator, and the honour of his faithful servant." St. Willibrord added, that even in his distant mission among the Frisians miracles were wrought through the relics of Oswald. I have dwelt thus on the memory of this holy prince on account of his being trained to piety in the Irish schools, his zealous co-operation with St. Aidan in sanctifying his people, and the devoted affection which he ever displayed towards his Irish masters. He bequeathed a bright example of Christian heroism to the royal families of the Anglo-Saxon kingdoms, and many were those who sought to emulate his perfect life. His festival was kept throughout England "with joyous and blessed gladness" on the 5th of August, and his name is entered in the Irish, Scottish, and Roman martyrologies on the same day. A foreign historian of England has well appreciated his true chararcter when he writes that "as his life was distinguished at once by activity and by a spirit of fervid Christian beneficence, so his Christian merits and his martyrdom rendered him a hero of the Christian world" and we may add with Montalembert, that, "crowned by the love and devotion of the people on whom he bestowed the blessings of peace and of divine truth, spending his life for its sake; gentle and strong, serious and sincere, pious and intelligent, humble and bold, active and gracious, a soldier and a missionary, a king and a martyr, slain in the flower of his age on the field of battle, fighting for his country and praying for his subjects. Where shall we find in all history a hero more nearly approaching the ideal, more richly gifted, more worthy of eternal remembrance, and, it must be added, more completely forgotten?" Right Rev. P.F. Moran, Irish saints in Great Britain (Dublin, 1879), 236-240. The Angel of God was accustomed to make two visits each week—namely, on each Sunday and Thursday—to the holy abbot Munnu, of Taghmoon, in Hy Kinsellagh; but, he came not on the week when our saint died. Munnu had a revelation, that there was great rejoicing in Heaven, on account of our saint's accession to the angelic choirs. After the interval of a week, that angel again appeared. Then Munnu said, "Wherefore, servant of God, have you not come to me as usual, during the last few days ?" The angel answered: "Because on those days the venerable servant of God, Molua, son to Coche, went to Heaven. Therefore, the angels did not visit the saints of Ireland, as usual; for, they rejoiced together, on the arrival of Molua among them." Then, St. Munnu said :" Now doth it appear, he accomplished the will of God, in a manner superior to us all. But, go thou to the Lord, and learn for me, on what account the Almighty was more pleased with Molua's approach, that he should in consequence neglect to visit me." The angel obeyed. Within a short time he returned, saying: " This is the reply to thy question. The face of no man was ever suffused with blushes through Molua, for he was mild to all, and governed his monks with great piety and gentleness. With moderation, he drew them to the right path. However, rejoice, also; for you shall find a similar honour in Heaven, since you must endure suffering in this life, and to the hour of your death." On the following Thursday, Munnu was struck with a leprosy, which covered all parts of his body, and thus was he afflicted, for the remaining twenty years of his life. The festival of Fachtna's modest daughters by whom every false assembly was purified. Such groups of saints, described as daughters or sons of a named parent, are a feature of the Irish calendars. I suppose the most well-known might be the daughters of Léinín, whose memory lives on in the place name Killiney (Cill Iníon Léinín - the Church of the Daughters of Léinín) in County Dublin. The Daughter of Fachtna, of Ernaidhe, said to be Urney, in the County of Tyrone. Fairest and most full of consolation to the perfect religious is that morning, when she consecrates her love to Him, who will jealously demand its faithful observance. We find in the Martyrology of Donegal, that a festival was celebrated to honour the daughter of Fachtna, belonging to Ernaidhe, at the 3rd of August. Another rendering of her name is Facundide, as found at the alphabetical entries in a table superadded to that Martyrology. In William M. Hennessy's copy of the work, that place with which the present saint is represented as having been connected, has been identified as Urney, in the County of Tyrone.